"This book comes at a time when we are asking searching questions: How exactly do we earn the loyalty, trust and commitment of our people? How do we balance the needs of our organisations to do more with less with the need to create environments in which people can grow, develop and achieve their aspirations? The answers lie within each of those through whom so much can be achieved. This book is the key to unlocking them." "Perfect Timing! Amongst the vast selection of coaching literature, this book is powerful in 3 ways. * It has the potential to engage even the most ardent cynic to "have a go"
* It is invaluable to anyone with responsibility for managing, training and development, with well thought-out strategic and realistic approaches to creating and implementing a coaching culture in any business." "How much of your team's full potential do you see at work? 90%? 30%? 60%? Many of us simply don't know. In a world of relentless change is it any wonder that so much can interfere with how well we perform at work. 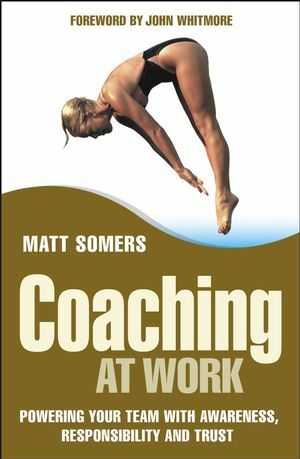 In a practical approach Matt Somers explores how coaching can be used to release that potential. Matt recognises that the reaction in the work place to coaching can range from mild apathy to downright hostility. It is this firm grip on reality that considerably increases the reader's chances of becoming a successful coach. In today's business environment ignore the principles and ideas embodied in this book at your peril!" "This is an extremely practical book underpinned by a powerful coaching model that is carefully defined and applied throughout. Matt's candid and insightful approach provides accessible information for those new to coaching and those wanting to refine their coaching approach. There are number of coaching texts emerging onto the scene and it is refreshing to see a book so grounded in managerial and organizational reality." Matt Somers is a coaching practitioner of many years’ experience. In 1999 he founded Peak, and has since worked with a host of clients throughout the UK and Europe, developing team coaching interventions for organisations as diverse as Toyota Europe, British Bakeries and the City of Edinburgh Council. Matt understands that the majority of individuals are working with their true potential locked away. He believes that coaching provides a simple yet elegant key to this lock, and that releasing potential in this way could transform the performance of all organizations. Peak’s experience has shown that, because it is both performance-focused and performer-centred, coaching represents the single most effective way of developing high performing teams. Matt is a regular speaker, a Fellow of the CIPD and the author of many important articles on coaching. He is the author of Coaching in a Week (2002). PART 1 HOW TO COACH. 1 Peak Coaching Model Pt 1 — Potential & Interference. 2 Peak Coaching Model Pt 2 — Performance, Learning & Enjoyment. 3 Peak Coaching Model Pt 3 — Coaching & Communication. 4 Peak Coaching Model Pt 4 — The Coaching ARROW. 5 The Model In Practice. PART 2 HOW TO APPLY COACHING. PART 3 HOW TO IMPLEMENT COACHING. 11 Towards a Coaching Culture. 12 Implementing a Coaching Programme. 14 Making the Business Case for Coaching.